WeHave a Voice | Passing Through . . . .
We Have A Voice. We Have A Vote. Image for We Have A Voice. We Have A Vote. Texas’ population has mushroomed in the last decade—and Hispanic and African-American communities account for roughly 80% of this growth. But their political voice hasn’t gotten louder. In fact, it was deliberately muted. 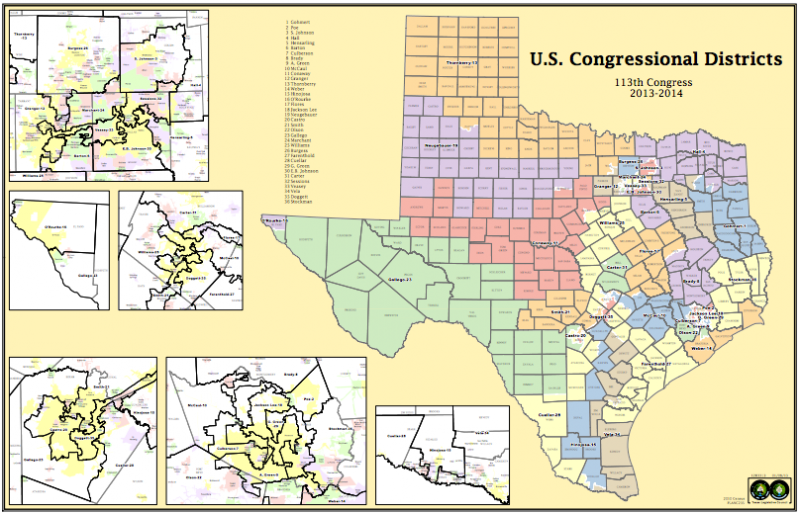 Texas got four new congressional seats, but the Republican-controlled legislature redrew district lines that upped their own party’s representation in Congress by five districts. Not only did minorities not gain seats at the table—they lost one. This week, a federal court in San Antonio will hear closing arguments in a trial investigating whether the Texas Legislature intentionally discriminated on the basis of race when it redrew these district lines in 2011. During the trial, witnesses testified that the Office of the Attorney General advised on and recommended adopting the map. There’s precedent for this. A federal court in Washington, D.C., found “sufficient evidence to conclude that the Congressional Plan was motivated, at least in part, by discriminatory intent.” The court pointed out, “In the last four decades, Texas has found itself in court every redistricting cycle, and each time it has lost.” And in San Antonio, the Department of Justice has sided with the plaintiffs, fighting for hardworking Hispanic and African-American voters. The final court ruling’s yet to come. But the fight should not stop there, and it should not stop with just the people in the courtroom. All Texans, regardless of race, gender, economic stature, or even political party, should be troubled by the testimony and evidence coming from the trial. And we don’t have to wait to prevent something like this from happening again. Elections matter. We have a voice. We have a vote. Let’s make sure we use it.